Mofe couldn’t recall the last time he’d done such tasking physical labour, probably not since he’d left the country ten years back . Maureen had taken him around the place and he had noted all the repairs that needed to be made. It would take quite a substantial amount putting the place together, it could be done and would be done but first he’d had to get the power back on as it had been switched off because of the burnt wires. It had taken him and Gabriel about three hours but they were done now. He stood back admiring his work, briefly recalling back when he’d done work like that for a fee. It seemed like ages ago now, who would have thought he’d become this CEO who didn’t get his hands dirty anymore? Not wanting Ezinne to be in the dark that night, he had sent his driver Gabriel who also doubled as his personal security, on an errand to get supplies from the closest supply market. The big guy hadn’t been exactly sure at first what his boss had in mind but he had gone on with the directive as he had no choice but to follow orders. They had both worked on the mains together and now, all he wanted to do was get to his hotel suite, take a bath and snooze till further notice. He’d taken a brief break to have a video conference meeting with Jared the regional director and Haruna from corporate communications department of the company, they handled everything to do with Public relations. It had been more of an order than a meeting, where he had ordered that they include the centre on the list of charity organizations they sponsored and that the event be widely publicized, therefore they were to bring in the press, television, print coverage, even radio possibly, making it a very public event. Glancing at the wristwatch, he saw it was six thirty pm, he straightened up, it was time to leave. He would have done so quietly but as he turned he saw Ezinne making her way over, assisted by Maureen who had her handbag in hand, it seemed there were done for the day. He walked down to them “I was just about leaving, I just finished with the mains, and power is back up now, Madam.” He said politely, the madam sounding foreign every time he said it. “Thank you Mr. Stevens but before you leave, I’d like to have a conversation with you inside, please.” Ezinne said her voice low and very serious that even Maureen glanced at her. “Yes ma, good night, good night Mr. Stevens,” Maureen called out to him as she left and he nodded a reply. “May I?” He asked taking over from Maureen, she didn’t protest, so he took her elbow lightly and led her into her house. Earlier when Maureen had been showing him around, he had inquired as to how Ezinne had lost her sight and she had told him Ezinne had been in an auto crash years back, it had claimed the life of her husband and she’d lost her eyesight. Her daughter hadn’t been with them. He’d already suspected she’d been in some sort of accident when he’d seen the faint lines on the side of her face but the story had still been shocking. So that was how she had lost Ekene, he hadn’t liked the guy but still, it was a gruesome way to die. “So you got the power up yourself?” She asked now taking the lead and leading him into the kitchen. It was dark and she reflexively reached out to the switch on the wall, turning on the lights in the room. “Thank you very much; although it’s quite useless to me, I don’t need the lights but I guess my friend, Rachel would be very grateful. Please have a seat.” She gestured at the dinner table in the centre of the room. He took a chair and sat. “Water would be fine.” He said and she got out a bottle for him, taking a can of malt for herself. He wondered for a brief second how she’d differentiated between the malt and coke cans, they were similar. “How could you tell the difference between the malt can and the coke?” He had to ask. Smiling, she showed him the braille label under the can, Mofe looked over the dots, not understanding what it meant but he could understand now how she could tell the difference. “I have a braille label maker and I painstakingly label everything or Rachel and my daughter,” She paused her sentence “Azora help me with it.” She took the chair next to his and sat down. “Rachel is a friend and she lives here?” he asked opening his bottle of water and taking a gulp from it directly, ignoring the glass cups on the tray in the centre of the table. Mofe’s eyes narrowed as he wondered what she where this was leading. “So, do you need to conclude the interview?” She asked as she poured the drink into a glass cup she’d picked up. He would have offered to help but she was doing well on her own, not a drop was spilled. On hearing that, the temperature in the room seemed to drop, he hadn’t known Jared would call her so quickly, he’d told him to proceed quickly on it but he hadn’t expected him to have done it this quickly. “What was the call about?” he asked trying to sound normal. Eyes behind dark gasses as usual, she looked up at him, like a poker player her expression unreadable, and then she smiled, her mouth turning up at the tip in a knowing look. The sudden change in her expression got him more uncomfortable. “Don’t act like you don’t know, Stevens. I might not be a genius but I can piece things together, out of the blue a Multinational company calls me up offering to partner with my little unknown rehab centre, asking to support the work I’m doing in any way they can. It’s a dream come true, and this happening on the same day that my house is almost razed by fire with some reporter breathing down my neck that I have to make repairs. Mofe shifted in his seat trying to find a more comfortable position, what was she hinting at, had she found him out? She was blind but if she’d had someone check out Tech Bits Technologies on the internet, they could have gotten his profile, along with his picture. They would confirm, he wasn’t who he said he was. So she knew something, but he needed to know what it was that she knew. She raised a brow in an ‘I’m not surprised’ look. He couldn’t help the small smile that tugged on his lip, she was obviously so excited and only managing to hold herself together. He watched this mature Ezinne who must carry so much on her shoulders, gone was the carefree girl who’d had the world at her finger tips. He wasn’t feeling sorry for her, no way, he still felt that anger and bitterness that had driven him all these years but then he had to admit that he liked this selfless project she had embarked on and it would be wicked of him not to help out when he had the means. Plus he couldn’t bear the thought of her and his ‘might be’ daughter’s continuous stay in this building that was surely destined to fall apart soon. “Are you an angel, Stevens?” she asked suddenly, expecting an answer from him. His head jerked up, caught by surprise and not sure how to answer the question, he was no angel, matter of fact he was her worst nightmare come to pass. If she knew who he really was and his true agenda, she wouldn’t let him ten feet near her. “Errr….no …” He began declining her offer when he heard the front door open and footsteps came in, he hoped for a fleeting moment that it was the little girl returning. He hadn’t seen her all day and he’d been secretly longing to. “Who’s there?” Ezinne called out. “Sweetie!” Came a male voice, just before the visitor came into the kitchen. Mofe frowned taking the visitor in calmly, both their eyes meeting and holding and in that first second, Mofe decided he didn’t like him. He wasn’t sure if it was the man’s eyes, but Mofe had a feeling about him. The man was quite tall, about six feet one, light skinned with a beefy stature. He wasn’t fat but was hovering around it the way his slightly rounded belly pushed at the buttons of his overly bright and overly tight shirt and his fleshy arms filled its sleeves. The jeans snuggly fitted his thick thighs and quite flared at the bottoms reminding Mofe of those Macosa dancers who dyed their hair yellow or some odd colour. The stranger seemed quite surprised at his own presence also for he looked at him questioningly. Seeing Ezinne was annoyed with him, he lost interest in Mofe. Mofe watched silently as the man stooped slightly to put an arm around her shoulder, but when he made to kiss her on the lip, Mofe reflexively stiffened. 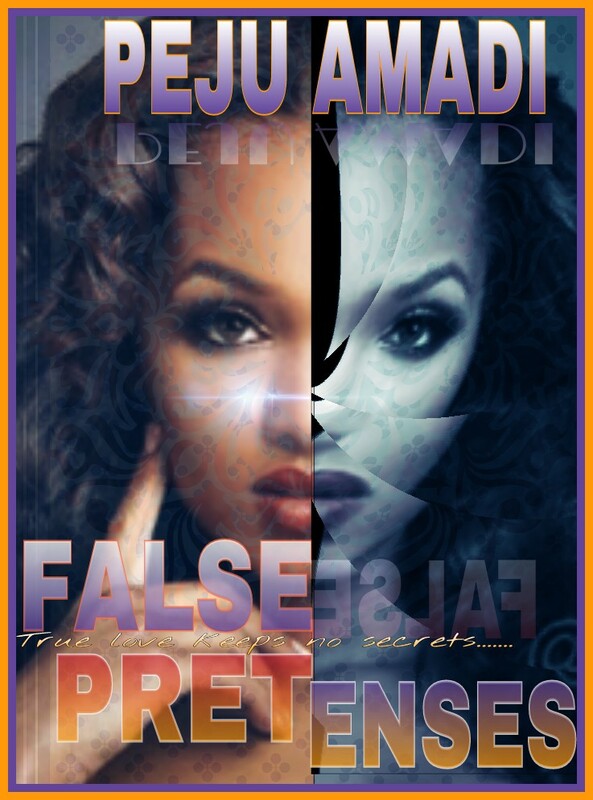 Ezinne turned her face to the side, thereby making the man’s kiss fall on her cheek and Mofe felt a strange relief wash over him, realizing that he’d unconsciously balled his hands into fists. “Hi,” Mofe said aloof. Still sitting back lazily in his sit, not bothering to offer the man a handshake, Emeka didn’t either, the both of them assessing each other. Mofe’s heart missed a beat, it was possible he had seen him somewhere, probably on television or the newspapers, whichever it was, he decided it was time to hightail it out once again before the guy remembered. Emeka nodded but Mofe could tell he wasn’t convinced. Well that feeing went both ways, what sort of fiancée didn’t show up when the woman he claims to love’s house almost burns down but shows up when she tells him she’s received sponsorship for her work, not suspicious at all, he thought wryly. It was too bad she was blind because the Ezinne he knew would have never given this sleaze ball a first glance not to talk of being his fiancée. Getting up from his seat, he decided he needed to give the ‘love birds’ some space to work out their differences. He had to smile, not by a long shot, she didn’t know it yet but his business was only just beginning where she was concerned, he had a foot firmly wedged in the door now, he’d gained her confidence. He was one step closer to know who the father of her child was. The sleaze ball was watching him without saying a word, maybe trying to figure what his real game was. Mofe could do her another favour by getting him out of her life for good. A glance at his gold neck chain and wristwatch made Mofe suspect Emeka could be dipping his fingers into the coffers of rehab centre. It was just a suspicion and might not even be true, but he didn’t trust the guy. “Yes please, do come see us then.” Ezinne said all smiles. laugh; his fingers itched to caress her smooth skin, to run them down the side of her face where the scars were faint. As if reading his mind, Emeka pulled Ezinne even closer to himself as if establishing possession of his property and Mofe returned to reality, hating himself for letting himself feel slightly those feelings that he had told himself were long buried. Ezinne was past, there was no chance in hell ever again for them, he reminded himself. Eve was his future now. Muttering a gruff reply, he left their presence, he’d had a long day, that was possibly also affecting him. He needed a rest but just as left the front door, he ran into the little girl he’d been longing to see, she was with some other lady whom he guessed might be Rachel. Mofe could tell easily that she was of mixed race, her light complexion and facial features were easy to decipher that one parent had been Caucasian and the other Africa. She was a petite lady, not more than five feet five and probably in her mid thirties..
“Hi, I’m err Mo..ji Stevens,” He dragged the ‘Mo’ catching himself in time, he’d been about to say his real name. “Oh?” She smiled, her features brightening “you’re the journalist? Maureen couldn’t stop taking about you this morning. She didn’t mention you had the looks of a model Greek god, though,” she joked drawing an unexpected chuckle from him. This one definitely spoke her mind. his mind playing tricks on him. Shaking her hand one last time playfully, he was about to let go when he looked down and what he saw paralyzed him to the spot. There on her right arm, close to her wrist was a dark patch on her skin, very similar looking to his and on the same spot exactly, it was the family birth mark. He looked up at her and then Rachel, then back to her knowing he had to leave there before he gave something away. Forcing his mouth to mutter something he left them, making his way to where Gabriel waited for him patiently in the SUV, he got in and sat quietly in the back seat. Thoughts were flying through his mind, in discordant motion, at first unclear but as he thought about it more, he began to get a clear picture and understand that there was no doubt about it, Azora was his. Realizing this, he was all at once freed from his confusion; instead another feeling took its place as hot blood rushed through his veins and he felt his heart pounding, Fury! Hmmm, Ise, ra ra o.